OK, I have an admission to make. I am a serial dieter. I’ve tried them all. Protein shakes. The heart diet. Slimming World. The 5:2 diet (admittedly that one lasted all of a week). Boot camps and calorie counting… The list goes on. I’ve had varying success, but only one constant – eventually I break and go straight back to old habits. I get annoyed with the restrictions, I HATE being hungry (I’m evil if I have low blood sugar) and none of them ever really feel sustainable. But I think most of all, I didn’t really get why they were working, if indeed they were. So it occurred to me around September last year that I needed to find something that changed my habits and something that I could understand the reasoning behind. Having done a bit of research, I came across Results With Lucy. Headed up by TOWIE actress Lucy Meck. Let’s be honest, she looks amazing! Good start. And she has the backing of nutritional and fitness experts to create the plan. Best of all, it seemed to be more about health and they talked about counting nutrition rather than calories. Thank the Lord!! There are lots of different plans available and all are done from your own home with no extra hidden costs. I chose to just focus on the nutrition side to start with and signed up for Eatwell 90. 90 days of meal plans and nutritional advice for £45. That’s only £15 a month, which I thought was pretty good value. 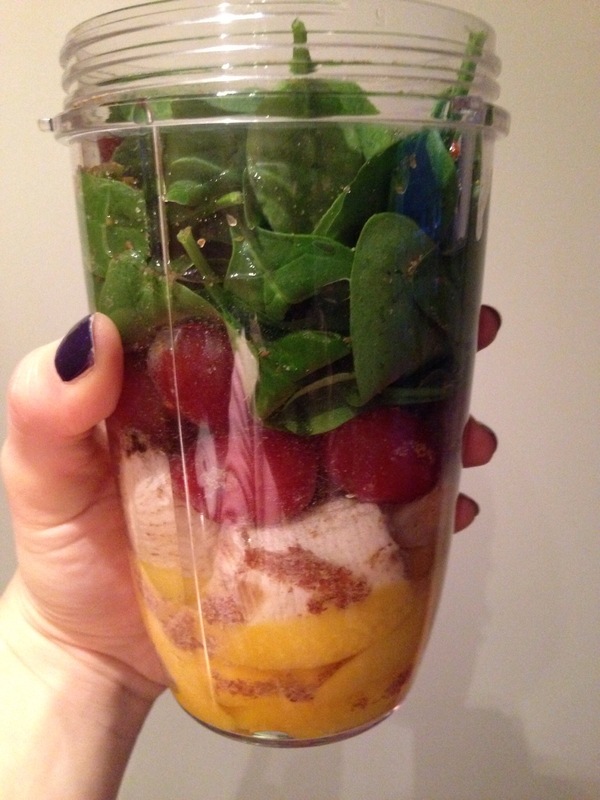 The plan goes through a detox phase and you do have to buy some detox pills/vitamins and some chlorophyll, and I invested in a Nutribullet to make the morning smoothies quicker, easier and nicer (more coming on that soon – I absolutely LOVE it! To start with, I struggled a bit with the big changes. The plan removes cows milk, wheat, caffeine, except green tea, and gluten, which were staples of my diet. But I wasn’t hungry. Quite quickly I began to feel better. I tried lots of new foods, which before, I would have turned my (very fussy) nose up at and enjoyed them. Think avocados, spinach, fish, buckwheat and more. And soon after that I began to look better too. My skin felt amazing (you have to drink lots of water, which probably helped). All the little bumps on my upper arms disappeared, my skin was smoother and my eye bags nearly left the building! People kept commenting on how well I looked too. Over the three months, I lost a stone! But during the process that almost became a by-product as I started to really enjoy feeling so healthy and well. The best bit of all is that my long-suffered and sometimes chronic IBS came entirely under control and I became regular. Sorry to be graphic, but it was such a relief after years of pain and irregularity. The plan gives you a short educational video each week, which I think really helps with that understanding part of things and sets you up to be able to carry on with the theories after the plan has finished. You also get the odd metabolic day , where you can eat white carbs for a day, and I think that helps you stay focused as you don’t feel totally deprived. Towards the end of the plan, you reintroduce all of the banned food groups to see if your body is intolerant to any of them and it turns out I am intolerant to wheat. Since that revelation, my bowels have been rejoicing! The recipes are still on the menu at the R-M household. Mr M really enjoyed them and they have become staples. Overall, I can’t recommend this enough, as a fab way to change your eating habits and your lifestyle. If I find some January energy, I may even try out one of the workout plans soon too. One step at a time though, eh!